One, two, three… CHEESE! The South End is the picturesque location for some of the best cheeses in Boston. If you are trying to have a cheesy date - wine and dine your significant other at, The Salty Pig. Described as having the best cheese and charcuterie in the South End, The Salty Pig features a large variety of hand selected cheeses. The menu is designed to be mixed and matched to create personalized charcuterie boards. The menu describes the various “Stinky Cheese” options to provide the aesthetic of each board. For example, the Westfield Blue Cheese: a goat cheese, chevre style, 1-month and is described as being “tart and tangy” is imported from farm in Hubbardston, MA… believe us, it’s absolutely YUM! The restaurant also features a cheese from the Von Trapp Farmstead, called Mt. Alice. This cheese is aged 3-5 weeks, and is described as bloomy, rich and buttery. So mix and match your cheeses - and remember, you can always pair your personalized charcuterie board with one of the many specialty wines The Salty Pig has to offer. The Whole Foods Supermarket located on Harrison Ave. and just a 5-minute walk away from 88 Wareham is also a home to some great cheese. 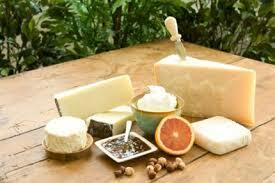 They offer a variety of mouthwatering cheese platters from local farms. There is surely something for every cheese lover! The New England Cheese Board features a platter of cheeses from Massachusetts and Vermont including Springbrook Reading Raclette, Grafton Village 2-Year Cheddar, Jasper Hill Farm Moses Sleeper and Vermont Creamery Bonne Bouche. In addition, the platter also features, Great Blue Hill - a cow’s milk blue cheese from Massachusetts described to be the “first of its kind”. The New England Cheese Board includes a Stonewall Kitchen Fig and Ginger Spread from Maine and a Fastachi Cranberry Nut Mix from Massachusetts. One-of-three featured cheese platters; Whole Foods also has a European Masters Cheese Platter . This platter is consisted of a selection of Europe’s finest cheeses and a Simply Elegant Cheese Platter with a rotating assortment of four mouthwatering cheeses. A perfect party platter - or wine night pairing with the girls. Whole Foods has the whole package when it comes to cheese boards! When in the South End - specialty cheeses are not hard to come by. 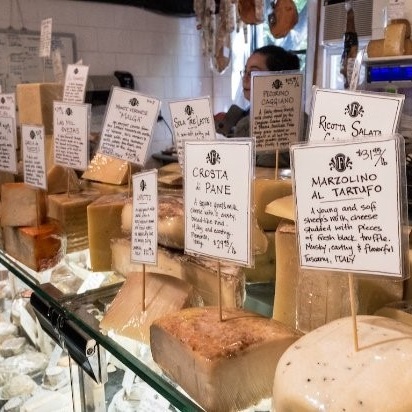 Boston’s South End features some of the best cheeses in the state - from a platter at whole foods, to a fine artisan products store or a wine and dine restaurant, just one, two, and three… SMILE! South End has you covered for all your cheesy needs.